Book of Acts week 6, we want to look more closely at Acts 2:42-47 and the sharing of the goods in the Jerusalem church. Indeed, the practice of sharing goods in this first church, represents a remarkable and unique experiment in the history of early Christianity. Luke’s idealistic descriptions show a community where goods were freely shared, where no one had need and where individuals sold their properties in order to raise funds for those in need. What types of activities characterize the life of the church in these few verses? Notice especially 2:42 and 46. How often and with what intensity does it say the church participated in these types of activities? See especially 2:42 and 46. In what locations did these types of activities take place? What does that say about the type of community of those early Christians? How does Luke describe the attitude of those first Christians? Note especially 2:46. What terms does Luke use to describe the unity of those first Christians? After reading how constantly and closely these first Christians shared their lives with one another, does it surprise you that they shared their goods with each other as well? Comment. In this passage we have a similar description of the early church sharing their possessions. In reading both passages together, how would you describe the nature of the sharing of goods? How was it carried out or administered? Note especially the condition at 2:45 and 4:35. Did people sell everything they owned? Did everyone’s belongings and property belong to everyone else? Was this a voluntary practice? For further insight you may want to read the passage about Ananias and Sapphira in Chapter 5. Note especially 5:4. What caused this type of generosity? There were two major events that occurred in the life of the church prior to this sharing of the goods. 1) the resurrection of Jesus Christ and 2) the giving of the Holy Spirit to the whole church. How should these two events transform the life of individuals and groups? What changes took place for those early believers or should take place for us as Christians in a modern context? Given the magnitude of these events and happening so closely together in the life of the early church, does it surprise you that they were sharing their goods with anyone who had need? Comment. There are two factors to keep in mind as we try to bring a modern application to these texts. First, aside from Chapters 2 and 4 of Acts, the sharing of goods was never again repeated in any other Christian church within the New Testament. This would seem to be making an excuse for not having to practice this type of generosity in today’s church context. However, we cannot get off that easy. 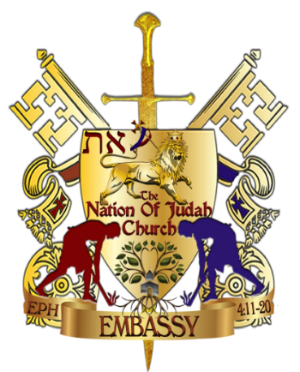 Return to the activities that characterized that first church in Jerusalem. Compare that list to the activities that your church still performs today (teaching, breaking bread, prayer, etc.) What activities are missing? And why? At the very least these passages should make you think about your own relative wealth and possessions. What is your attitude towards the things that you own? How generous are you with your money and possessions? How should wealthy members and no so wealthy members co-exist and live together in the same church? Do you live in abundance while others have so little? What does it mean to be a part of a messianic & Spirit-filled community when it comes to your material wealth and possessions? How should Christ’s resurrection and the coming of the Spirit transform you in this area?